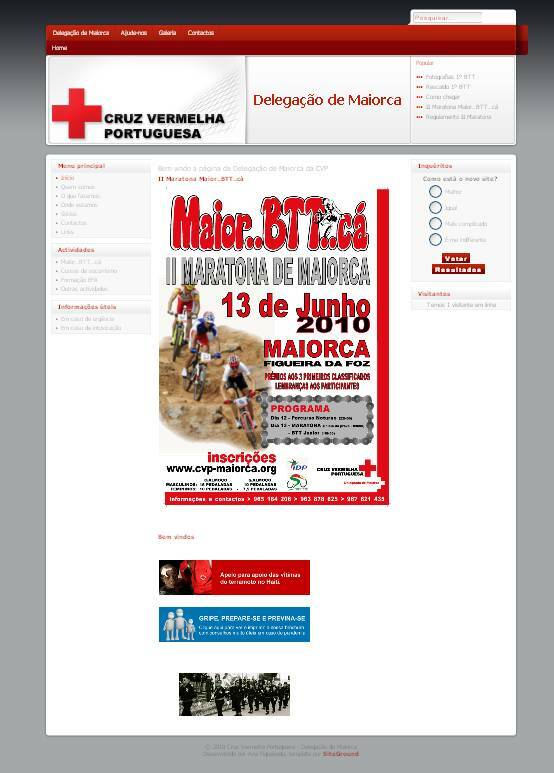 Website of Cruz Vermelha Portuguesa, Maiorca | Enide! 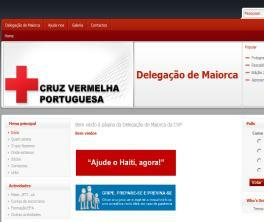 This project started on January 2010 as an evolution of the previous website of the Portuguese Red-Cross delegation of my parent's village. The new website is built with Joomla which is a very powerful and easy to use Content Management System with a lot of extensions available. Building a website in Joomla with some interactive features is a lot easier than coding it on your own. I'm using BreezingForms to create some registration forms and a database editing application on the website, SQL 2 Excel to easily create excel files from the database records and DirectPHP to create dynamic content pages on the fly, with php code. This is a preview of the first release with the Mountain Bike competition flyer standing on the front page. Click the image to visit their website.